Silk-épil 5 Wet & Dry SensoSmart™ 5/890 epilator with 5 extras incl. shaver head. 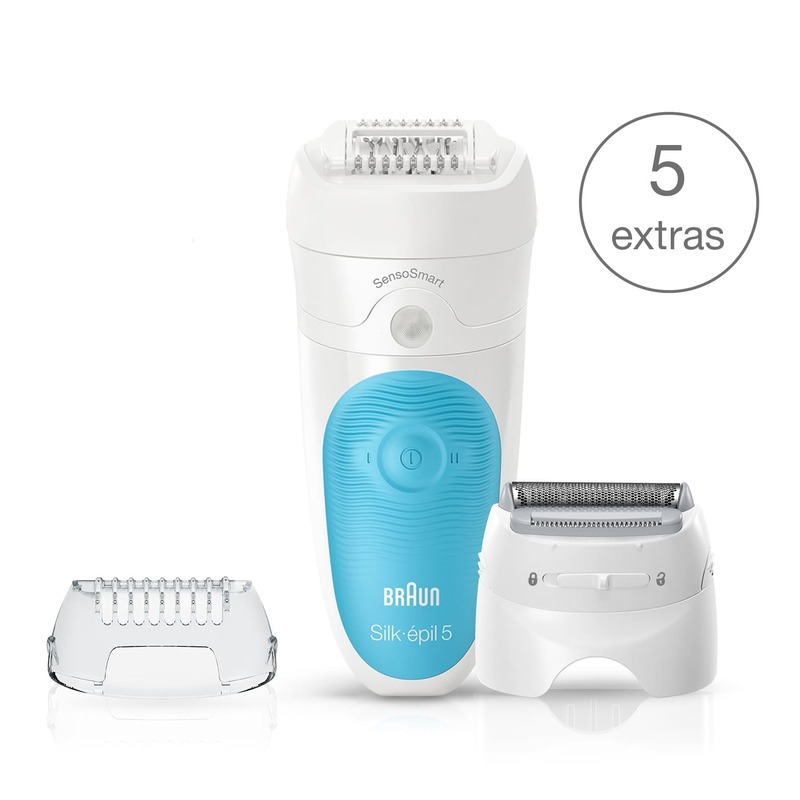 Braun Silk-épil 5 Wet & Dry Epilation Starter Set removes the short hairs waxing cannot catch, for long-lasting smooth skin for up to 4 weeks. Ideal for new users, the innovative SensoSmart technology guides your epilation so you use the right pressure, removing even more hairs in one stroke¹. Cordless and 100% waterproof, the epilator can be used in the bath or shower for gentle hair removal. With 5 extras; including massage rollers, a skin contact cap, a shaver and trimmer for sensitive areas like the bikini line, and a pouch. In your bath or in your shower, warm water helps you relax and makes it even more comfortable. Improved handling and adaptation to all body areas. With the anti-slip grip. Better control, even in wet conditions. Charges in only 1 hour for 30 minutes of use. Use cordless in shower or bath.